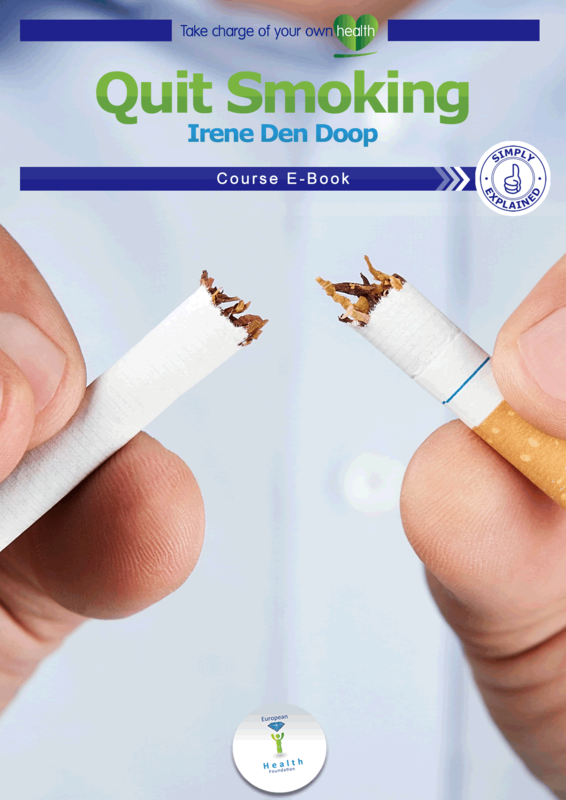 The Quit Smoking exercise book is distributed by the European Health Foundation and has been produced together with META Psychology Practice and Internet Marketing Nederland. Quitting smoking is good for you, but many people experience problems with it. The European Health Foundation wants to help you achieve this and has put together this course, so that you are able to quit smoking in a more structured way. In this course, you will find exercises, useful tips and interesting facts which you can use to help you straight away. In combination with the training, you will have a complete personal plan to quit smoking. In addition to fill-in exercises, this course also contains practical assignments which you can carry out at home, on the way or at work and with friends. • You will have an actual and personal plan to quit. • You will have made changes in your lifestyle which allow you to stay on the right path. • You will be more confident when you are confronted by temptations, adversities and difficult moments. • You will have saved some money to do something enjoyable with. • You will know how you can be more positive about life. • You will know how you can get support from your friends.